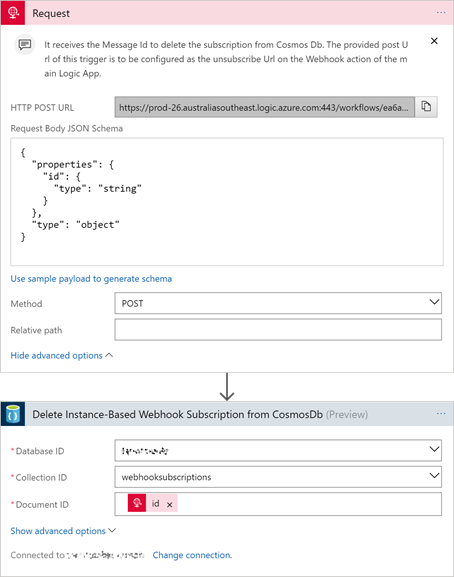 In this post, I will show how to implement the Correlation Identifier enterprise integration pattern on Logic Apps leveraging the webhook action. [UPDATE] The Correlation Identifier pattern can also be implemented using Azure Service Bus and Sessions, as shown by my colleague Prasoon in this post. To implement the Correlation Identifier pattern, it's important that you have a basic understanding of the Logic Apps webhook action. Justin wrote some handy notes about it here. The webhook action of Logic Apps works with an instance-based, i.e. dynamic webhook subscription. 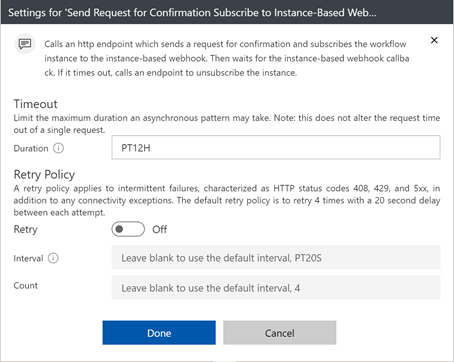 Once executed, the webhook action generates an instance-based callback URL for the dynamic subscription. This URL is to be used to send a correlated response to trigger the continuation of the corresponding workflow. This applies the Return Address integration pattern. We can implement the Correlation Identifier pattern by building a Custom API Connector for Logic Apps following the webhook subscribe and unsubscribe pattern of Logic Apps. However, it's also possible to implement this pattern without the need of writing a Custom API Connector, as I'll show below. To illustrate the pattern, I'll be using a fictitious company called FarmToTable. 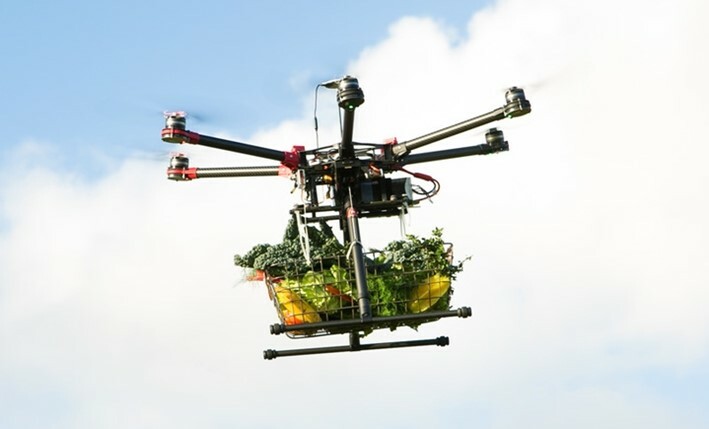 FarmToTable provides delivery of fresh produce by drone. Consumers subscribe to the delivery service by creating their personalised list of produce to be delivered on a weekly basis. FarmToTable requires to implement an SMS confirmation service so that an SMS message is sent to each consumer the day before the scheduled delivery date. After receiving the text message, the customer must confirm within 12 hours whether they want the delivery or not, so that the delivery is arranged. 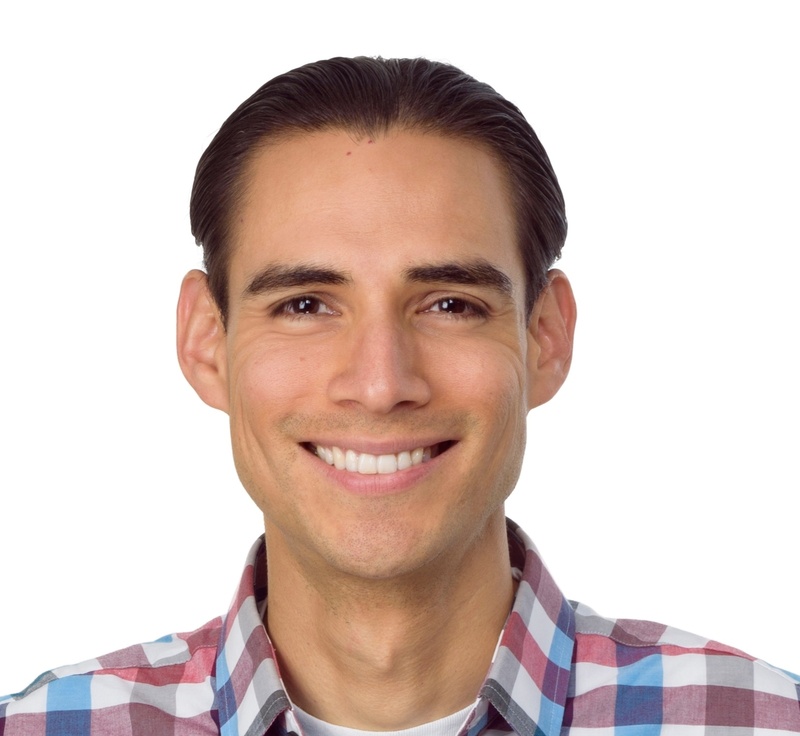 Subscription store: A database to store the unique message Id and the instance-based callback URL provided by the webhook action. In my implementation, I'm using Azure Cosmos DB for this. Nevertheless, you can use any other suitable alternative. Because the only message id we can send to Twilio and get back is the phone number, I'm using this as my correlation identifier. We can assume that for this scenario the phone number is unique during the day. Subscribe and Start Request Processing API: this is a RESTful API that is in charge of starting the processing of the request and storing the subscription. I'm implementing this API with a Logic App, but you can use an Azure Function, an API App or a Custom Api App connector for Logic App. Unsubscribe and Cancel Request Processing API: this is another RESTful API that is only going to be called if the webhook action on the main workflow times out. This API is in charge of cancelling the processing and deleting the subscription from the store. The unsubscribe step has a similar purpose to the CancellationToken structure used in C# async programming. In our scenario, there is nothing to cancel though. Like the previous API, I'm implementing this with a Logic App, but you can use different technologies. 2. Create a Service Bus Namespace and 2 queues. For my scenario, I'm using one inbound queue (ScheduledDeliveriesToConfirm) and one outbound queue (ConfirmedScheduledDeliveries). For your own scenarios, you can use other triggers and outbound protocols. 4. Create the "Subscribe and Start Request Processing API". I'm using a Logic App workflow to implement this API as shown below. I hope the steps with their comments are self-explanatory. You can have a look at the code behind here. Please use it just as a reference, as it hasn't been refactored for deployment. 5. Create the "Unsubscribe and Cancel Request Processing API". I used another Logic App workflow to implement this API. This API is only going to be called if the webhook action on the main workflow times out. The workflow is show below. The code behind is published here. Please use it just as a reference, as it hasn't been refactored to be deployed. 6. Create the Instance-based Webhook. I'm using another Logic App to implement the instance-based webhook as shown below. The workflow is Http triggered. It's to be triggered by the Twilio webhook. In order to trigger the Unsubscription API, the timeout property of the webhook action must be configured. This can be specified under the settings of the action. The Duration is to be configured the in ISO 8601 duration format. If you don't want to resend the request after the time out, you should turn off the retry policy. If a response is received, the workflow continues assessing the response. If the response is 'YES', it sends the original message to the ConfirmedScheduledDeliveries queue. The code behind of this workflow is available here. Please use it just as a reference only, as it hasn't been refactored for deployment. Now, we have finished implementing the whole solution! :) You can have a look at all the Logic Apps JSON definitions in this repository. In this post, I've shown how to implement the Correlation Identifier pattern using a stateful Logic App. To illustrate the pattern, I implemented an approval step in a Logic App workflow with a custom API. For this, I used Twilio, a third-party service, that offers a webhook with a static subscription; and created a wrapper to implement the subscribe/unsubscribe pattern, including an instance-based webhook to meet the Logic Apps webhook action requirements. I hope you find this post useful whenever you have to add a custom approval step or correlate asynchronous messages using Logic Apps, or that I've given you an overview of how to enable the correlation of asynchronous messages in your own workflow or integration scenarios.